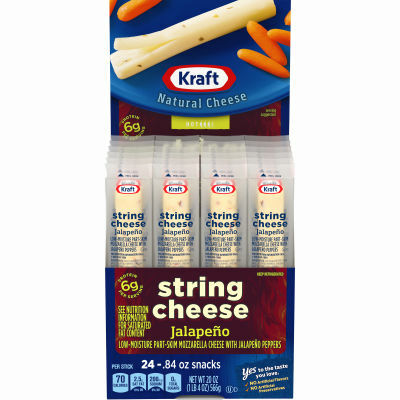 Kraft Jalapeno Mozzarella String Cheese is prepared with high quality ingredients. This string cheese has a flavorful taste the whole family will enjoy. The string cheese is perfectly portioned and helps to satisfy your hunger between meals. Popular with adults and children alike, this string cheese is a perfect grab and go snack. Serving size 1 stick (24g).